The history and heritage of Cincinnati’s storied brewing history has come alive once more along the banks of the Ohio River with the opening of the Moerlein Lager House Restaurant and Brewery. Prominently situated in the dynamic new Smale Riverfront Park, the Moerlein Lager House offers a guest experience unlike any other—a working microbrewery producing a full line of Moerlein craft brews, and delectable fare featuring grain spent breads, hand carved sandwiches and smoked rotisserie meats… foods reminiscent of those served in the city’s celebrated 19th century beer gardens. 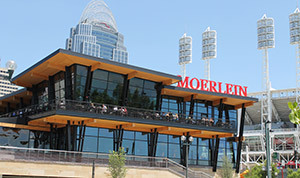 The design of the Moerlein Lager House was created to greatly enliven the dining experience by offering sweeping views of the park, the Ohio River, the Roebling Suspension Bridge and Great American Ballpark from both its indoor dining spaces and its expansive outdoor ‘biergartens’. In a city that cherishes its beloved brewing legacies, the Moerlein Lager House has already become an enduring tribute to its history and culture in a welcoming, casual modern-day environment. Your guest experience at the Moerlein Lager House in Smale Riverfront Park begins when you walk through its welcoming doors. Greeted by the delicious aromas of grain-spent breads baking…rotisserie meats roasting…and your favorite beers and ales being brewed on site in the working brewery, you can choose from several dining options. Gather with friends at the lively social bar area; dine outdoors in the Beer or Hop Gardens; or take in the breathtaking views of Smale Riverfront Park, the Ohio River, the grand Roebling Suspension Bridge and Great American Ballpark while enjoying your meal in the indoor dining spaces. While visiting the Moerlein Lager House, take a tour of the working brewery, and celebrate the dynamic history of Cincinnati’s unique brewing heritage throughout the restaurant with its historic exhibits, photos, paintings and artifacts. Accommodations for private parties, weddings, business events, chef demonstrations, beer tastings and more! Second-floor “Four Seasons Room” will have multimedia capabilities, meeting rooms and banquet facilities for business functions and wedding receptions. 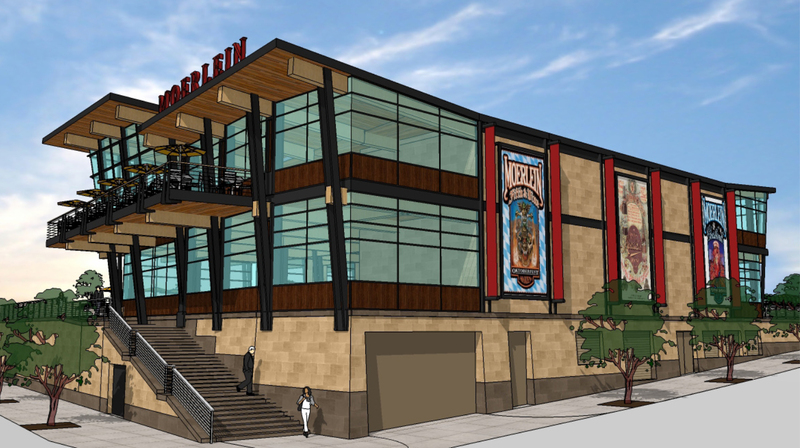 Working microbrewery—with an annual output of 5,000 barrels—will be open for onsite tours. The building will be a “green” building and will apply for LEED certification—the Leadership in Energy and Environmental Design (LEED) Green Building Rating System™ that measures how well a building or community performs across all environmental metrics. Geothermal heating and cooling is planned along with a green roof and sun- shading of interiors. 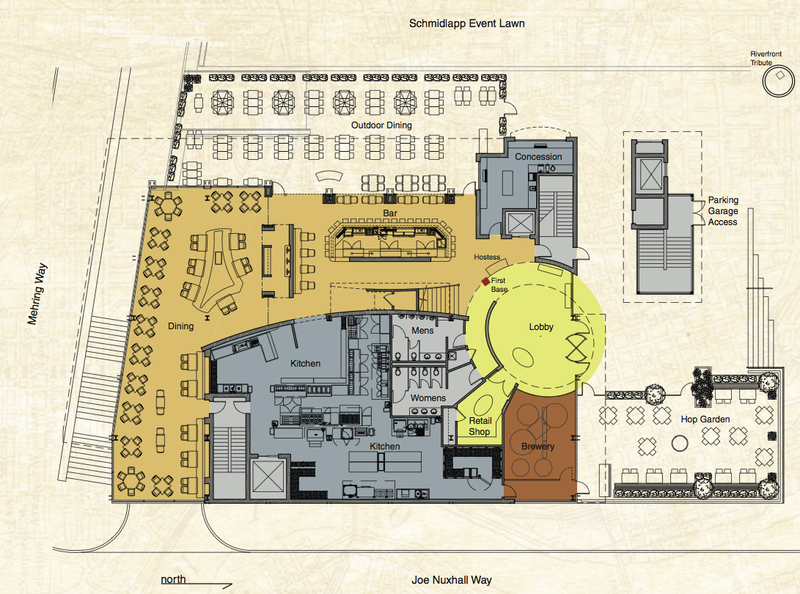 The City of Cincinnati will retain ownership of the restaurant site. Menu items—such as rotisserie meats and hand-carved sandwiches served on bread freshly baked from spent brewer's grain— will replicate Over-the-Rhine's 19th century beer gardens. Support a prevailing wage environment with a focus on 30% Small Business Enterprise (SBE). For a century and a half, the Christian Moerlein name has been synonymous with Cincinnati’s storied brewing tradition. 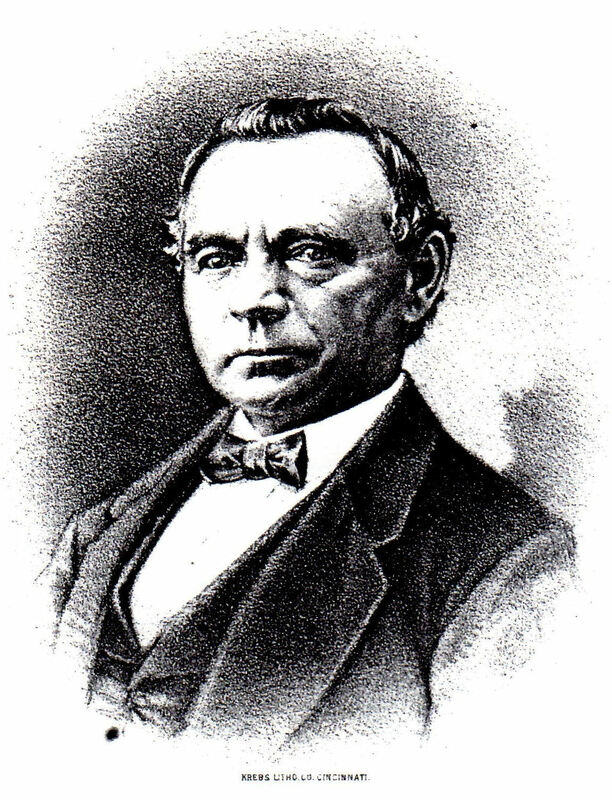 In 1853, Christian Moerlein opened his Elm Street Brewery in Over-the-Rhine. It was an instant success and Moerlein quickly became known for his quality beers. During the late 19th century, Moerlein's Over-the-Rhine brewery was the largest in the state of Ohio—and one of the largest in the nation. Soon, from cargo carriers along Cincinnati’s thriving riverfront, the enterprising brewer began to export his beers to faraway locations including Panama, Puerto Rico, and the Philippines. Moerlein’s celebrated Cincinnati lager was also widely sold in New Orleans as well as in the eastern ports of Manhattan, Philadelphia and Boston. 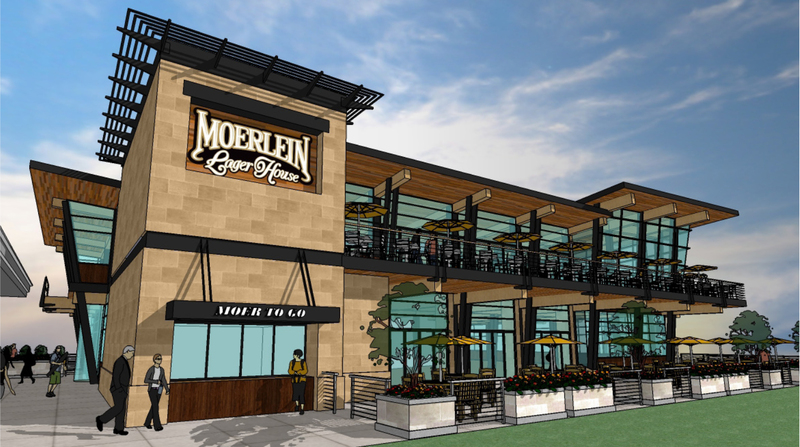 Today’s Christian Moerlein Brewing Company remains a vital part of the Cincinnati community; now more than ever as it works to create a restaurant concept that is deeply rooted in the historic tradition of locally produced beer in Cincinnati. CLICK HERE to learn more about the Beer Barons Hall of Fame at the Moerlein Lager House. Christian Moerlein, pictured, was the first beer baron to be inducted into the Beer Barons Hall of Fame. The Moerlein Lager House has minted a commemorative beer token...just as the Christian Moerlein Brewing Company did in the 1800s! 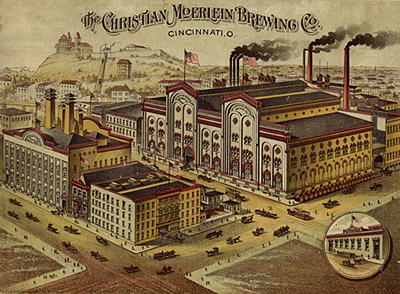 The Christian Moerlein Brewing Company—For over a century and a half, the Christian Moerlein Brewing Company—known for its quality beers and exacting standards—has been part of Cincinnati’s legendary brewing history and heritage. The Cunningham Restaurant Group—The Cunningham Restaurant Group owns and operates several award-winning restaurants in Indiana and Ohio—including the Stone Creek Dining Company in Montgomery and the newest Stone Creek location in West Chester. Tilsley & Associates Architects—Founded in 1991 by architect Greg Tilsley, Tilsley & Associates provides progressive, quality design and planning services to a broad spectrum of clients including restaurants, retail buildings, urban infill projects and more. Schumacher-Dugan Construction—Schumacher-Dugan, a leading contractor in Greater Cincinnati for over 45 years, has extensive construction management experience in a wide array of industries including restaurants, banquet facilities and retail centers. Cincinnati Growth Partners—A Cincinnati-based investment banking firm that assists private companies in developing growth strategies, raising growth capital and executing succession plans.